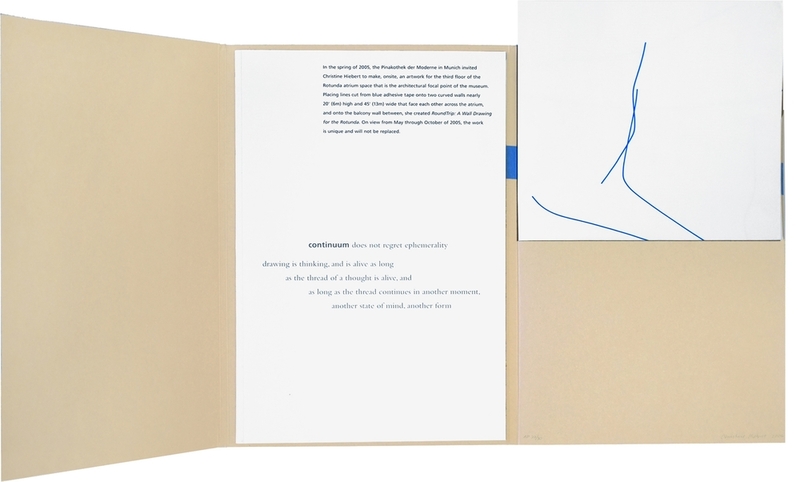 Limited edition artist’s book and companion prints. Published by Pinakothek der Moderne, Munich Germany, and Edition Schellmann, Munich / New York, 2006. In conjunction with the exhibition RoundTrip: A Wall Drawing for the Rotunda, at the Pinakothek der Moderne, 2005.